Discussion in 'Clan Recruitment' started by TaNiZiAcK, Jan 16, 2019. 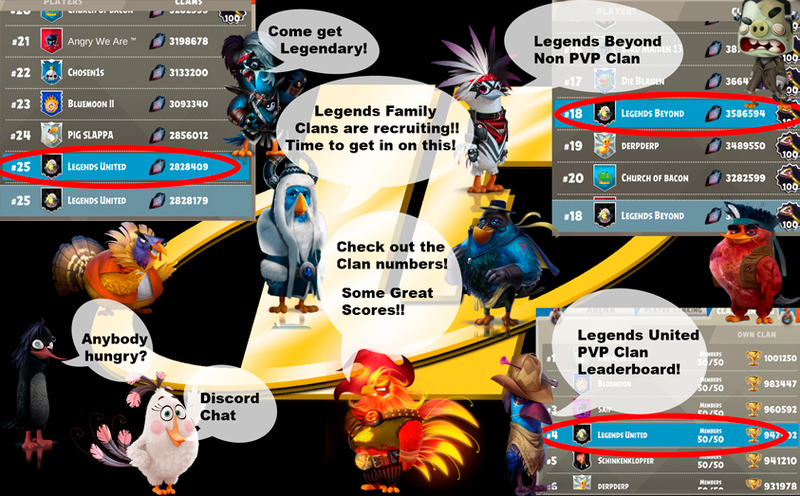 [LF] Legends United & Legends Beyond are recruiting! We aren't 'Obnoxious', but we are good. We aren't 'Arrogant, but we are good. We aren't 'Pay to Play', but we are good. We aren't 'give up your Real Life' play, but we are good. We ARE Great Fun, highly organized, Fair to everyone and Winners! We ARE looking for members that like to earn rewards and do their part as team players. Basic clan stuff and we use Discord Chat. Come be Legendary! Cause in case you didn't notice, we are Good!